Sometimes you have to let go of your inhibitions, take down the top and step on that gas pedal just a little harder. That's Let 'em Ride poker - a game that can take your ante to its limit to better your payout. A variation on the popular game of poker, this Table Game switches things up so that players play against the house and not other players. Dealt from a single deck of 52 cards, Let 'em Ride is the top down on your convertible, with a cash prize at the end and it's all up to you how long you want to stay on the road. First, the player must place their Ante, ranging from $1 (minimum), $5, $25, $100, or $500 (maximum) and then click on the Deal button. They are then dealt three cards face-up, while two community cards are placed in front of the dealer, face down. The player is then given an opportunity to decide whether they want to Raise their original bet by the same amount or Continue to the next round without adding to their wager. Once the decision has been made, the first face-down card is revealed. The player can, once again, choose whether to hit the Raise button once more or Continue without raising. The game wraps up with both the player's cards and the community cards being revealed and the player's hand being evaluated just like a normal poker hand - combining the player's three cards and the two community cards. Don't forget there's a progressive jackpot that can be won. Simply bet $1 on the red button marked Click here for Progressive and a huge pay day could be right around the corner. 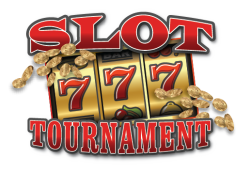 The player can get in on the progressive jackpot by placing a side bet of $1. If the player receives a hand consisting of a Flush or higher (including the two community cards), they qualify for at least a portion of the progressive jackpot. See below for progressive jackpot payout specifics. Deal - Deals cards once bet is placed. Once the Deal button, all bets are final. Raise - Increases the player's bet by their original betting amount. Continue - an opportunity to continue to see the next face-down card without raising. Progressive Jackpot - An optional $1 side bet that allows players to qualify for the progressive jackpot.